Timber framing requires a knowledge and experience. 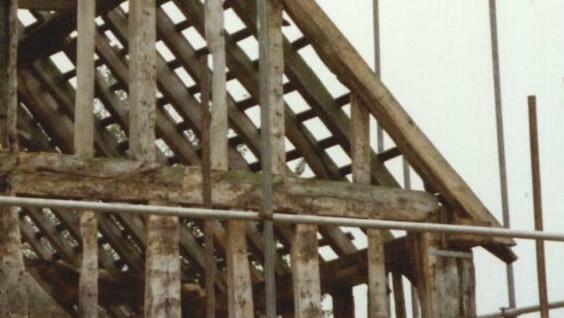 There are a number of companies, some well established, who specialise in timber frame restoration. Creative Heritage Ltd is an experienced design consultancy specialising in the design and conservation of traditional pegged and jointed oak buildings. We offer a full design service for clients wishing to construct an oak frame addition to their home, whether a garage, car port, stable block, pool house or any other we will work with you to ensure the building is completed to the highest standard. Creative Heritage Ltd are regional representatives for T J Crump Oakwrights one of the UK's leading and highest quality manufacturers. Nick Joyce Architects Ltd have been practicing in Worcester for over 25 years. We cover a wide area centred around the West Midlands. Our highly experienced team includes AABC accredited architects, all with at least 20 years' experience in historic building work. We work extensively with the conservation, repair and renovation of listed buildings of all grades, both domestic and commercial, specialising in timber-frame repair, barn conversions and church conservation including Heritage Lottery Funded and Historic England grant-aided schemes. We are a small but dedicated group of timber frame carpenters able to repair historic frames or frame new buildings to your specification. We have many years experience of vernacular framing traditions and work only to the highest standards.